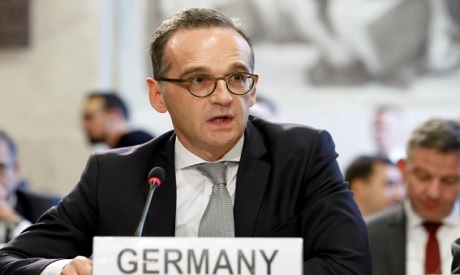 Germany would strongly oppose any move to station new medium-range nuclear missiles in Europe if a key Cold War-era arms control treaty is scrapped, German Foreign Minister Heiko Maas told DPA. “Under no circumstances should Europe become a stage for a rearmament debate,” the German news agency quoted him as saying in an interview published on Wednesday. “Stationing of new medium-range missiles would be met with broad resistance in Germany,” he said. The United States has threatened to pull out of the 1987 Intermediate-range Nuclear Forces Treaty, which bans Moscow and Washington from stationing short- and intermediate-range, land-based missiles in Europe. Russia has said it was planning for a US deployment of new nuclear missiles in Europe following Washington’s planned withdrawal from the treaty.